I was trying to decide whether I disliked this book because it was Moriarty’s first and she hadn’t honed her craft yet, or whether it just didn’t gel with me. I’m going with the latter because as I’ve said in previous reviews, my enjoyment of her books is often a coin toss so there is no way to tell which way I’ll go come the end of it. I didn’t sit through it hating it, I didn’t get bored in it or think it was unrealistic or too idealistic. I’m not entirely sure what it was. I liked some parts, I understood the story Moriarty was trying to tell, and yet I got to the end of it and felt unsatisfied. I think one key reason was that when we finally get to Moriarty’s Reveal™, I recall thinking “is that it?” It was so anticlimactic that I think if it hadn’t have been built up to be such a big deal it would have been ok, but the way the story builds this Event to be I felt the payout should have been better. Maybe I am not getting into the emotional journey and tribulations of these characters. I read it, I understood it, but I wasn’t quite so moved by it to the extent I was meant to be. I think I was meant to be more shocked, or more surprised by this surprise because of the journey Moriarty’s been taking me on so far. And yet, no. It was obvious in a way, once I recovered from my anticlimactic disappointment. I did feel empathy for the characters, what they go through individually is terrible and I can see how it affects them, but in terms of this coinciding with other events in the novel I think it doesn’t quite land. 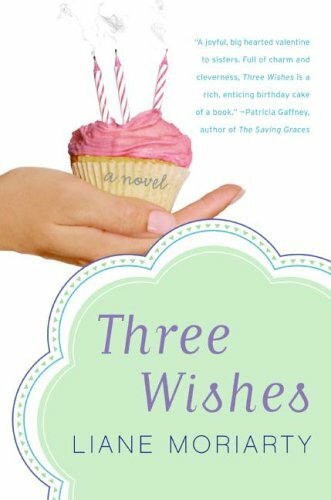 Separately, each of the triplet’s story was well told. Moriarty explores their emotional story and their inner thoughts so we can understand where they’re coming from and who they are as people. One thing Moriarty does well is give her characters a distinguishing voice and there is a great honesty to them. Each of these girls had their own voice, one which reflected who they are and Moriarty makes them real. This was enhanced by the audio because Lee did a great job expressing each character in a believable way. The random Nanna Kettle story felt out of place. I don’t know why it was included, I thought maybe it would end up linking to Kat, but when it didn’t I still don’t know why it was included. It wasn’t like we were really that invested in Nanna Kettle, she had such a minor part to play she almost didn’t need to be there. One thing I did enjoy was the way Moriarty included the small anecdotes from outsiders on the Kettle family and their lives. It gave a nice side view of them without it needing to be included in the main narration. Each observation suits the moment in the story perfectly, and there’s even a few that break your heart a little. There are few big subjects in this book but within the structure of Moriarty’s writing they are impactful, but not overwhelming. Each of these women have such different lives, but when they come together they collapse into the sibling mentality which was done well. Gemma somehow manages to have the baby sister vibe, despite them all being the same age. I think it is her lack of emotional maturity that brings this across, and Lyn is very much the big sister. There is humour and a few surprises that Moriarty works with, and the depth she gives to all of her characters adds to their believability. Side characters have complicated stories and entwined together with the main cast. It rings true like a Moriarty story but it was one that just didn’t wow me. When kindergarten teacher Miss May tells her children she sees a dragon, the children react if different ways. Some are intrigued, some surprised, some scared. But Jack says he doesn’t believe in dragons. When Emma wonders where the dragon is, Jack reminds her there isn’t any such thing. When Ned finds a feather and asks if dragons can fly, Jack assures him it’s a bird’s feather – nothing to do with a dragon. And what about that snoring sound? Not a dragon, insists Jack. So do dragons really exist? I picked this one up because the cover was adorable, and while the story didn’t quite hold up to the same standard, it was a nice story all the same. In a reverse Pete’s Dragon situation, everyone believes in the dragon that teacher Miss May can see, everyone except Jack. It is a sweet story as the children theorise about what the dragon likes to do and eat, accompanied by Walker’s illustrations. The illustrations are quite cute and are the part I liked the most. The dragon is drawn simply, as are all the illustrations, in a colourful, rough design. I’m not sure what appeals to me about the dragon but I really enjoyed the design, it does remind me of the Pokémon Dragonite just more beige. I liked Walker’s creativity with the illustrations, she manages to create pictures that allude to a child’s imagination but also have the possibility of being real. The colours are soft and the lines are rough but that only adds to the gentle nature and the magic of having a dragon hanging out at your school. I ended up admiring the drawings because while the story starts with promise, it falls flat after a while. The story isn’t too engaging, but it’s cute so I’m sure kids can enjoy it all the same. 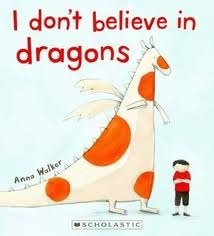 With a few more pages there could have been a conclusion or any kind of recognition about what seeing the dragon actually meant and how Jack who’s been a buzzkill to everyone else about their belief, has a change of heart and finally learns to believe. Rodney was a rabbit who loved nothing more than drawing. He never found it tiresome, tedious or boring. But then one day, disaster struck, the one thing Rodney feared, while working at his drawing desk his pen just…DISAPPEARED! I loved this book. The rhymes were clever and I easily got into the rhythm, and the story is excellent and funny. This is a book where the illustrations match perfectly to the story, it a story that relies on the pictures and the keen eye of the reader. 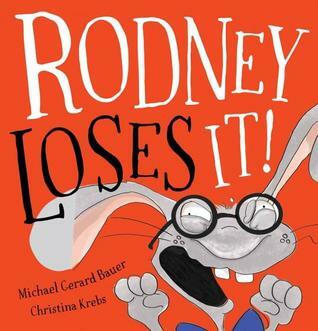 This book can easily be enjoyed by adults and children; the children love it because it’s funny and Rodney is silly, the adults because it reflects situations they have probably had themselves which makes it even funnier. Krebs’ illustrations are colourful and stand out either on a page to themselves or placed next to the text which is a format which works well to enhance Bauer’s story. Krebs brings Rodney’s world to life showing off his drawings and his love for his pen Penny, and his humorous distress when she goes missing. This was on the CBCA 2018 Shortlist and ended up winning the Early Childhood category which is well deserved. The title works on two separate levels which is a joy, and Krebs’ illustrations are comedic and as I say, match perfectly with the words. You see Rodney’s frustrations and kids will delight in seeing his manic expressions and chaotic desk while he tries to find his missing things. Another 13 storeys means another grand adventure and zany levels to explore. 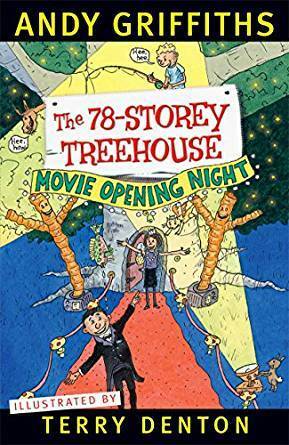 This time poor Andy get pushed aside as Terry becomes the star of the new upcoming Treehouse movie and in true Terry style lets it go to his head and he becomes a little bit mean. Because there is no need of a narrator in this film, Andy must find ways to amuse himself which involves exploring the many new rooms of the treehouse including trying to hatch the giant egg, spinning the plates in the spinning room, and scribbling some more in the scribbling room. This is a great Andy centred adventure because while Terry is the star of the film, Andy becomes the star of the book. I loved this, it’s fun and silly and hilarious in all the right places. Jill also makes an appearance, I’m always glad to see Jill get her time to shine in these stories, she’s a wonderful character. Since I read this book instead of the audio I got to appreciate the drawings, and they were fantastic. When I read one of these with creative illustrations I forget the great audio Wemyss does to express the illustrations and admire Denton’s drawings instead. They are very funny and very clever, filled with little secret critters or comments, if you stare at them long enough you keep finding hidden gems in some of the more complicated ones that are both relevant and not relevant at all, and like all good illustrations they certainly bring something extra to the story. Griffith’s writing is wonderful but needs accompaniment whether it’s Denton’s drawings or the sound effects on the audiobooks and Wemyss’ voices. I love that this book (and the whole series really) breaks the fourth wall, it goes a bit silly and illogical but that’s half the fun. Andy’s attempts at staying out of the way always end up interrupting the movie in some way and when nefarious things begin to happen, no one believes him. I also loved that there are stages in the Treehouse stories, just when one aspect is solved something else happens, or while you are trying to enjoy one adventure something else pops up as well, skilfully coming together in the end with Griffiths clever writing. Writing which in itself can be delightfully convenient and illogical but which makes the story that much more enjoyable. I love the reality that this treehouse exists in where anything is possible and logic and physics don’t really need to play a part. On top of the dazzle that is a Teehouse movie, you can also expect action and adventure in this book, you can also expect rhyming rants, suspicious cows, the ever delightful Mr Big Nose, as well as lot of Andy’s. Possibly one of my favourite treehouse books, not only because the writing is funny, but despite having the same basic formula for six books now, this is still an original story that goes in directions you didn’t even know it could take. I can only imagine what another 13 storeys is going to involve but I look forward to reading about it. Andy and Terry’s amazing treehouse has 13 new levels including a chocolate waterfall, a non-erupting active volcano, an opera house, a baby-dinosaur petting zoo, Andy and Terry’s Believe it or Else! museum, a not-very-merry merry-go-round, a boxing elephant called the Trunkinator, an X-Ray room, a disco with light-up dance floor, the world’s scariest roller-coaster and a top secret 39th level that hasn’t even been finished yet! 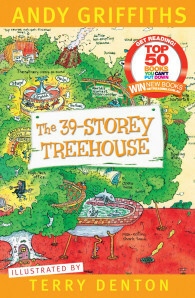 One thing that can be said about the audiobook experience of the Treehouse series is that Stig Wemyss really enjoys his role as narrator, and with the freedom and challenge of engaging children in an audio book his enthusiasm is a great draw. Despite this, I do think this would have been a good one to read rather than listen to, there sounds like there would be a great assortment of pictures based on what happens. That is to say it wasn’t still enjoyable. As before, audio prompts, music, and sound effects make this just as enjoyable, maybe even more so; though I do feel like Terry’s drawings are being neglected, considering how much he talks about drawing in the books. With another 13 storeys added to the treehouse another adventure awaits. Andy tells us what new things they have added to the treehouse, each as exciting and improbably and delightful as the previous things. Andy and Terry once again have a book due but Terry has a solution he’s been working on which naturally causes mayhem. Terry also got a spotlight moment and a reprieve from being the daft friend, his drawing skills become essential and his illustration skills are commended. There’re also songs in this story, some more poems than songs, but one definite song, which Wemyss has to sing which was…an experience. I’m also learning that there will always be a recap of the book within the book, but thankfully it’s a fast recap. Griffiths certainly had worked out a rhythm with this series. It’s repetitive, cheeky, silly, and all the fun and gross (but not too gross) things that make kids laugh. 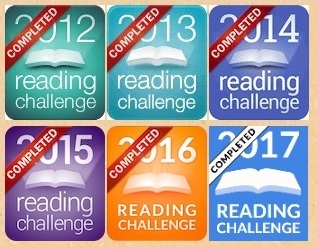 Once you get used to the structure of these books they become quite enjoyable, no matter your age.